Start in Reykjavik and end in Keflavik! With the discovery tour Discover Iceland, you have a 8 day tour package taking you through Reykjavik, Iceland and 17 other destinations in Iceland. 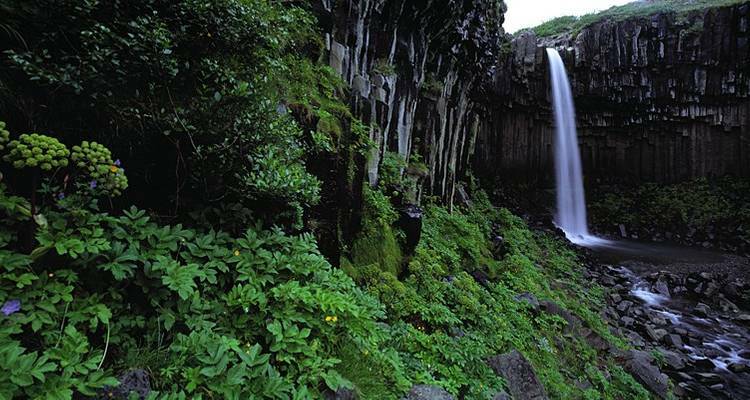 Discover Iceland includes accommodation in a hotel as well as an expert guide, meals, transport. Day 2: Drive north to mountainous Snaefellsnes Peninsula, explore the Snaefellsjokull Ice Cap; fishing villages, lava flows and birdlife. Day 4: Visit waterspouts at Geysir, on to Gullfoss Waterfall; continue to Thorsardalur Valley and on to Gjain canyon; finally see Haifoss Waterfall. Day 5: Drive across lunar-like landscape of Fjallabak nature reserve; optional swim in hot pools and walk to hot springs; walk to Ofaerufoss Waterfall; on Mt Oraefajokull. Day 6: To Vatnajokull NP. 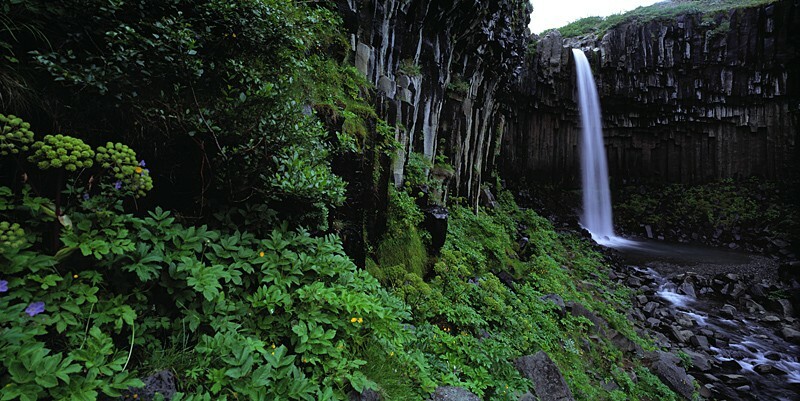 visit Skaftafell and walk to Svartifoss waterfall; to the Glacial lagoon, optional boat ride on the lagoon. Day 7: Visit Vik; on to basalt columns of Reynisfjara and visit a nesting area for thousands of puffins, plus the rock arch at the southernmost tip of Iceland. Transfer to Reykjavik. Are the Northern Lights guaranteed on this trip? As a naturally occurring phenomenon, the appearance of the Northern Lights is notoriously difficult to predict any further in advance than about two hours before it happens. So much is dependent on solar activity, we can accurately predict neither when they will occur nor how frequently. Every endeavour will be made on this trip to see the Northern Lights, if it is the correct time of year to see the lights however this is not guaranteed. Is there a single supplement available on this tour? Yes. Please take note that there will be an extra charge for a single supplement room. Please contact us to arrange this. Reykjavik is the starting point and Keflavik is the endpoint. TourRadar only requires a deposit of $99 to confirm this Exodus Travels booking. The remaining balance is then payable 60 days prior to the departure date. For any tour departing before 18 June 2019 the full payment of $0 is necessary. No additional cancellation fees! You can cancel the tour up to 60 days prior to the departure date and you will not need to pay the full amount of $0 for Discover Iceland, but the deposit of $99 is non-refundable. Covering a total distance of approx 905 km.